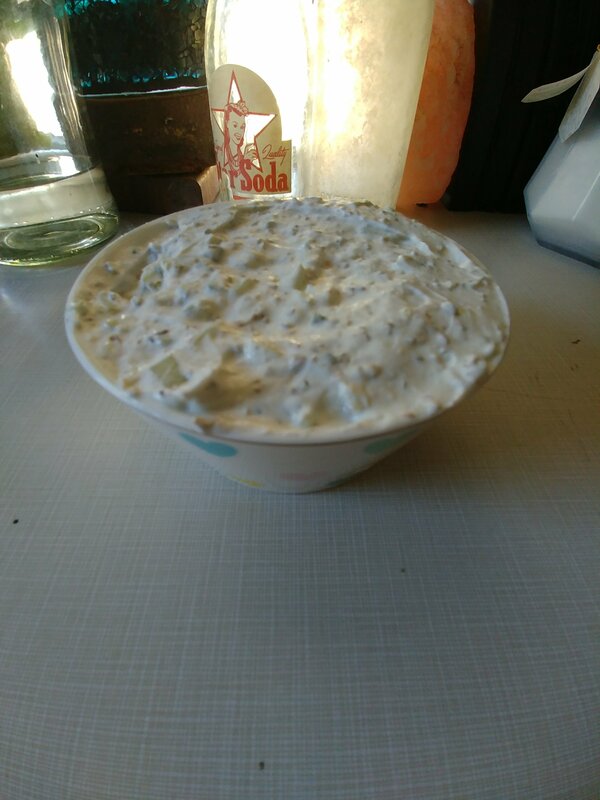 Great with Lemon Herbed Chicken or with Lamb, Gyros, Gyro Meatballs, or a Dip for Fresh Veggies. To lower carb count use full fat Greek Yogurt. 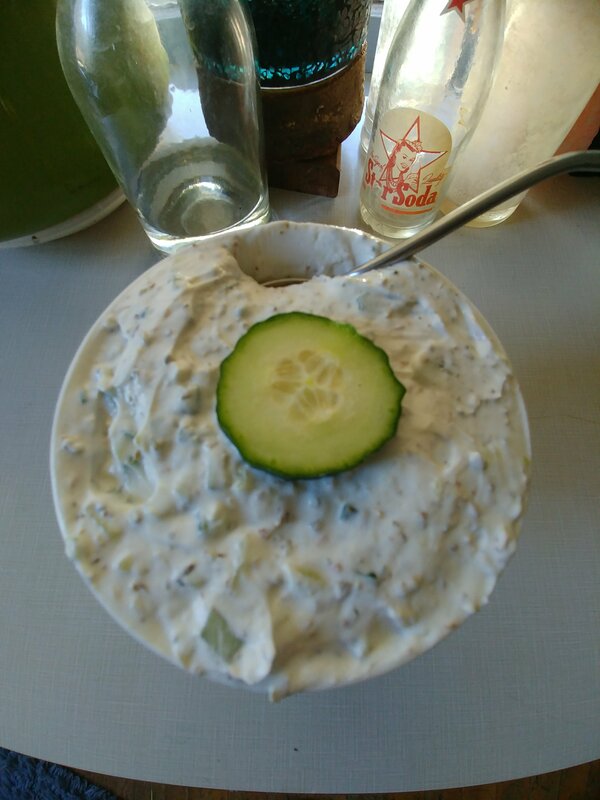 I used Total Fage 5% brand, but have also used Sour Cream when I didn’t have yogurt. Place all ingredients into a medium sized bowl. Taste, does it need more salt or pepper. Refrigerate until ready to serve. Stir before serving. Makes roughly 1 1/4 cups. Use within 4 days.